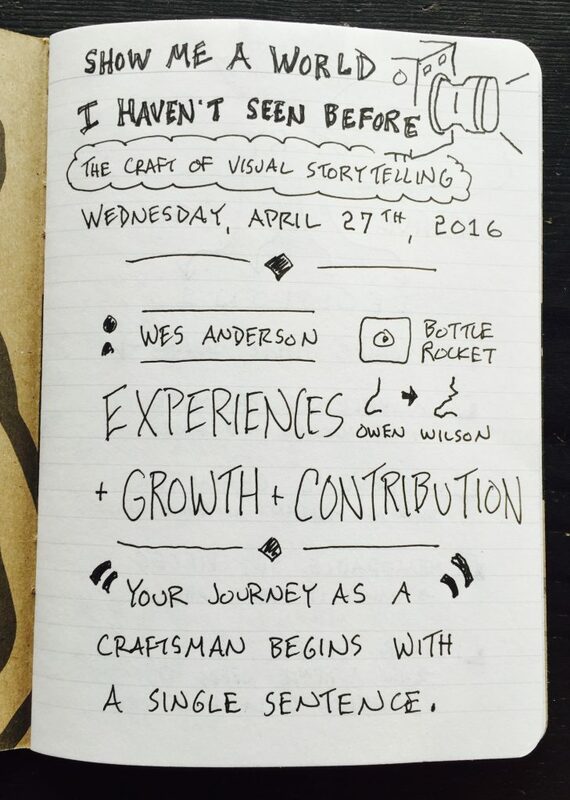 Over the past year I’ve become more and more interested in making videos. 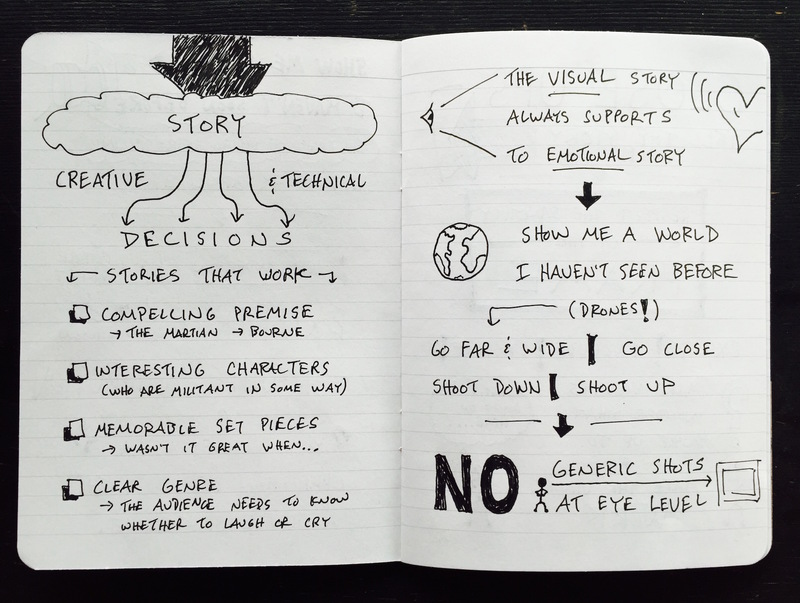 It is becoming a core component of the work I’m doing at Verbal To Visual and Learn In Public. So I like making videos, but I’ve never studied filmmaking. 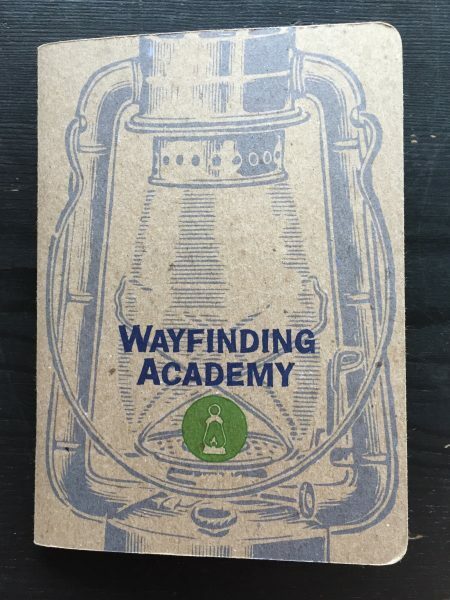 Last night I was able to start filling in some gaps in my knowledge thanks to a workshop hosted by Barry Braverman via the Wayfinding Academy in Portland, Oregon. 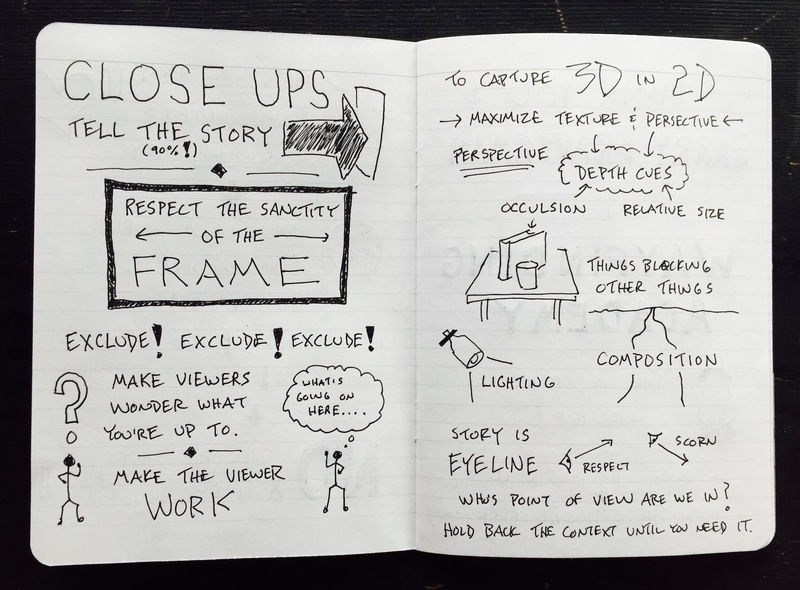 In addition to those big-picture ideas, it was the nitty gritty details of setting up a shot that will help me moving forward: showing the viewers a world they haven’t seen before by NOT relying on generic shots at eye level but instead changing the perspective and making the view wonder what is going on and work to understand it. Even though I’m not making films, these ideas will be valuable in the educational videos that I’ll continue to make at Verbal To Visual and Learn In Public. 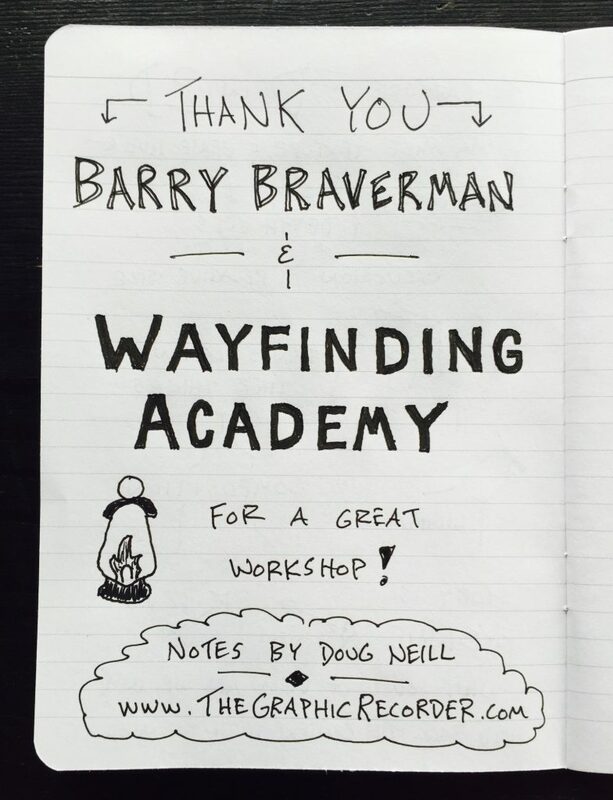 Big thanks to Barry Braverman and the Wayfinding Academy for putting on a great workshop!